I’ll start with the bad: my left foot is still sore. I tried running through the injury but after seven days I gave up on that. I’m now two weeks and three days without one run. I’m massaging my foot with a tennis ball whenever I think about it but the pain persists. While I have been on a break from running I stepped up my swim training and decided to climb aboard the MTB again. Last night was my 5th consecutive day on the bike. I did NICK trail on each occasion and also got faster with every try. 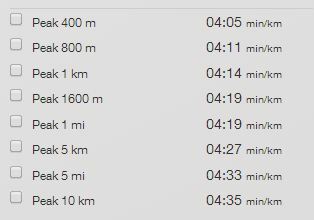 Last night I went out an broke my previous PB by a little over a minute. My fitness is nowhere near what it was last year so time gain is exclusively down to knowledge of the course. 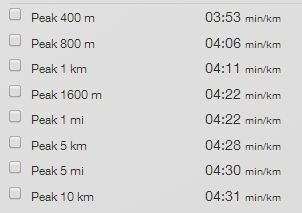 I see that it is possible to go sub-35 this year… If the foot doesn’t get into running shape soon then I should have the possibility of reaching that goal. If running gets back on track then that will be my goal and the MTB will be relegated to harmless fun. At this stage it’s not in my hands.